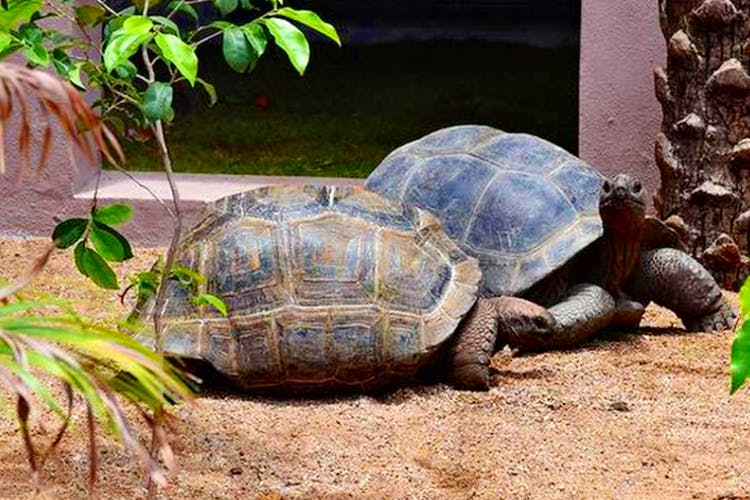 Nehru Zoological Park has two adorable tortoises that have come all the way from Seychelles. During a visit to India, the President of Seychelles has gifted them to our President, Ram Nath Kovind, and now they are put up for public display in the zoo. So, if you're planning to visit, be sure to check these out. Our zoo is already a home to tortoises of several species and there is a cub rearing centre as well to attend to the needs of young animals. These 20-year-old tortoises belong to Aldabra species, which is supposedly one of the largest tortoises in the world and weigh around 550 pounds. We are excited to meet and greet these. Are you tagging along?